Discover the capital of Lithuania – Vilnius and get ready for a city full of surprises. Learn all kinds of interesting and entertaining facts about Vilnius with the audio guide, which is available in 11 languages. One trip duration: 1h 25 min. October 4th, 5th, 6th, 7th (13:00 – 14:30, during Congress lunch time). Trakai – the former capital of the Grand Duchy of Lithuania – is a small town located about 28 km from Vilnius. Situated in a picturesque lakeside area it is one of the most popular tourist attractions of the country. The historical part of the town conserved the ruins of Peninsula Castle, the authentic heritage of small ethnic group Karaimes and of course the top must see site – the famous insular Castle on the lake, the original Gothic style architectural monument from the end of the XIV century, a historical Museum of Trakai nowadays. Our tour includes a visit to Trakai Castle. After the visit in the castle you will have some free time to enjoy the beauty of the nature during the boat trip, buy interesting souvenirs and have a short break before going back to Vilnius. – 1:30 hour of free time in Trakai. Tour duration – 4 hrs. Excursions on other days are available as well. If you prefer other time, please indicate this in excursion booking form. Discover Vilnius –the baroque beauty of the Baltic. Vilnius has one of the largest Old Tows in Central and Eastern Europe where the buildings of different styles and the network of medieval streets are very well preserve. The area was built up in the 14th and 16th centuries, and its narrow winding streets, hidden courtyards and lavish old churches retain the feel of bygone centuries. During this recreational tour you will visit special beer bar in the center of the capital. You will be able to taste several different types of ‘live beer’. You will visit a small local brewery. The specialist will reveal the secrets of production and introduce the brewing equipment. You will taste 5 sorts of beers and the tasting will be accompanied with local Lithuanian beer snacks, famous local dishes. Tour duration – 3,5 hrs. We are offering you a unique opportunity to explore the beauty, legends and architecture of Vilnius by taking the bus Vilnius City Tour. You will get acquainted with the most important landmarks of Vilnius including the masterpieces of Gothic St. Ann ‘s church, Baroque style St. Peter ‘s and Paul ‘s church, Classical Cathedral as well as the symbols of the dynamic new development of Vilnius. 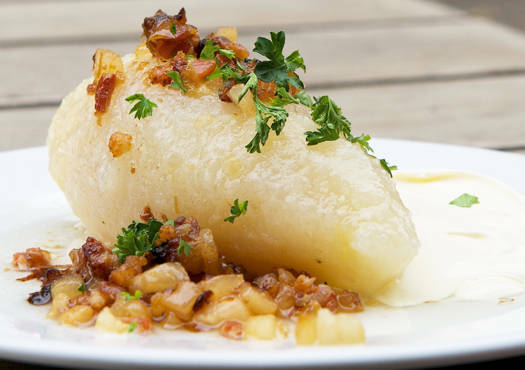 After a short introduction with the history in the Old Town of Vilnius the tour will continue in the traditional local cuisine restaurant where you will be presented with secret recipe of the most famous meal of Lithuania- cepelinai. Presentation will be followed with dinner.